2. Grease a baking sheet with cooking spray; set aside. 3. Cut up the carrots and set aside. 4. Melt Earth’s Finest Coconut Butter over medium-heat in a large non-stick skillet or pan. 5. Add garlic and cook for 3 minutes, or until lightly browned, stirring very frequently. 6. Toss the carrots with the garlic butter either in the pan or pour the butter over them in a mixing bowl. Toss until well combined. 7. Transfer carrots to previously prepared baking sheet. 8. 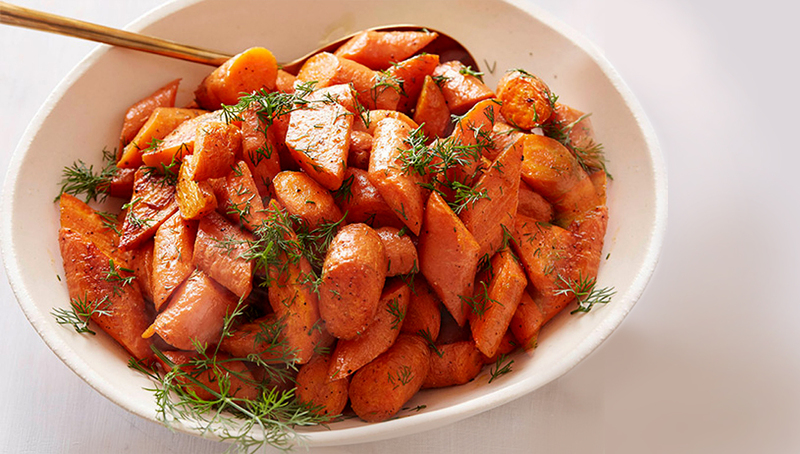 Arrange in one layer and bake for 22 to 30 minutes, or until carrots are tender. 9. Garnish with fresh chopped parsley.